Dental Implants: Your FAQs Answered! Dental implants are one of the best choices to replace missing teeth. Dental implants are extremely sturdy and look and function just like your real teeth. They are often placed, but always restored, by your dentist in Asheville, Dr. Saunders, and we will help you maintain them for life. Here are some of our most frequently asked questions about dental implants. Dental implants are artificial teeth that are anchored securely into your jaw using a metal (usually titanium) screw. After the implant is expertly placed, a crown will be fixed onto the end. At Saunders DDS our goal is to have the implant last the rest of your life; although you may need to get your crown replaced at some point in time! Any patient who is missing a tooth or several teeth, has a healthy mouth and in good physical health can be considered for dental implants! Furthermore, you will also need to have enough bone in your jaw to properly support the dental implant. If you don’t have an adequate amount of bone, often modern bone grafting techniques can create a foundation for properly sized dental implants. Can Dental Implants Replace an Entire Set of Teeth? Yes! 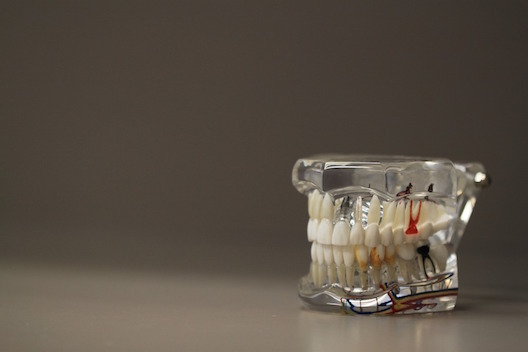 You may choose to have individual implants, although more commonly, people who are missing all of their natural teeth opt for implant-retained dentures or all-on-four dental implants. These procedures allow for restoring an entire arch by only placing four to six dental implants. After the implants are placed, you’ll have a custom denture that either “snaps” in or is “bolted” in that is designed by Dr. Saunders to enhance your smile. Before the procedure, Dr. Saunders will take a Cone Beam CT of the treatment area. This shows us your jaw bone in 3-D in order to determine if dental implants will work for you. Furthermore; the CT will allow us to digitally treatment plan your case to decide exactly where the dental implant should be placed. During the procedure, you’ll be given local anesthesia, with the option of nitrous oxide, to make you comfortable for the surgical placement of the dental implant. The procedure isn’t painful and the majority of people heal quickly and painlessly afterwards. Our office also works with many of our area’s highly trained specialists for patient that do not have enough bone volume or want to be put to sleep during the surgical procedure. After the procedure, you’ll need to wait for the implants to attach to the bone in your jaw and properly heal before getting your restoration completed. Some mild discomfort will be experienced after the procedure, and Dr. Saunders will utilize different pain medications to make you comfortable. Is There a Chance My Body Will Reject the Implant? Dental implants are generally made of titanium, so you would have to have a titanium allergy for your body to reject the implant. This allergy is rare and rejection of dental implants is rare as well. Candidates for dental implants generally have very good oral health, therefore optimizing the chance of healing after the procedure. Dental implants can last a lifetime! If you heal properly, your implant may never need to be removed or replaced. However, it is possible you’ll need to have your crown replaced every ten to fifteen years. As dental implants become more common, more insurance companies are covering the procedure. However, it will depend on your insurance. Talk with us if you have concerns about paying for dental implants! Security. Unlike dentures, dental implants are totally secure and do not slide around in your mouth. There’s no risk for them to come loose and fall out since they’re fused to your bone. They’re sturdy and allow you full functionality, just like your natural teeth! Longevity. Dental implants can last for life and there’s no chance that they’ll break or be misplaced like dentures. Encourages bone growth. People who lose their adult teeth generally begin to experience bone loss in their jaw as a result of the missing teeth. This causes teeth to shift, but it also leads to bone loss that can causes a sunken facial appearance. With dental implants, they actually encourage new bone growth, which helps to retain your youthful appearance! Ease Your Worries. Never worry about what foods you can eat, speaking or smiling in public, or replacing your bridges or dentures every few years. Dental implants restore your confidence and are a long lasting solution to missing teeth. You can enjoy life worry-free with dental implants. Dental implants are an excellent choice for many patients. Schedule a consultation with Dr. Saunders to determine if you’re a candidate. They so beautifully replace and mimic your natural teeth that you’ll soon forget they’re not real!